In Thailand, it’s those heavenly details that fill you with wanderlust. Those gentle infusions of herbs or lemongrass, or those floating lotus flowers. They remind you that you are an adult and that it is OK to like nice things. You are no longer content to sip cocktails in a joint that looks like a student digs and smells like it has been swathed in Fabreze. I’m feeling proudly adult as I arrive at Lucky Khao, on the knife-edge of Kemptown. The Northern Thai BBQ restaurant has just opened amid loads of buzz and just a little controversy. I understand the reticence. This latest offering is from Mike Palmer, entrepreneur behind the Kemptown Project, and also burger brand Lucky Beach which is a far cry from the streets of Thailand. 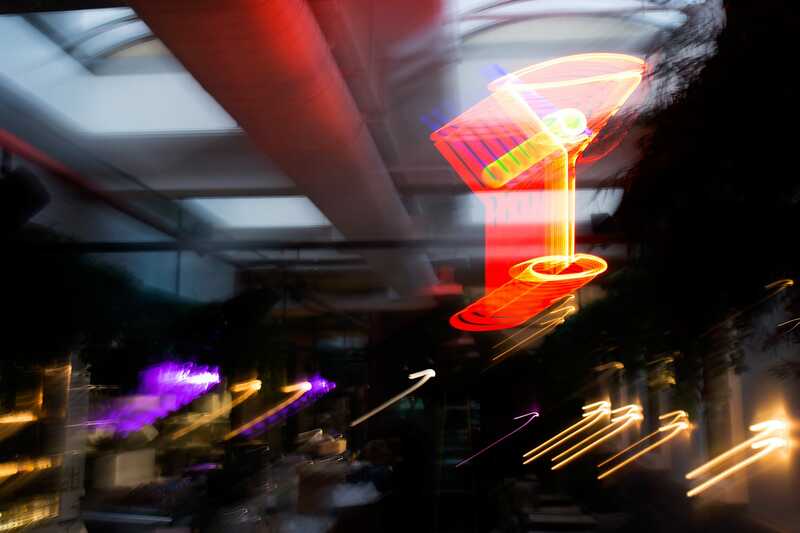 An excellent Red Roaster cafe by day, Lucky Khao becomes a sophisticated Thai-inspired restaurant and bar at night. Amid the shadowy indoor trees and hanging vines and inviting hues of pinks, purples and reds, I’m about to discover some of the best food I have ever eaten on UK soil. In minutes, I’ve become one with my comfy booth seat. 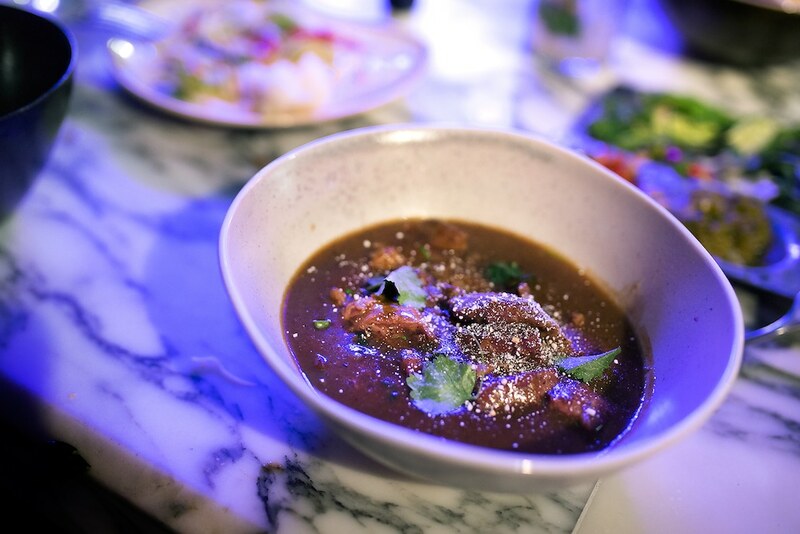 Minimal house and 90s classics play out, neon art casts shadows and purple light across white tiles, satisfied-looking customers tuck into silver plates of delicious-looking Nam Phrik Num and tamarind sauce. Before long I too will be eating mind-blowing, wickedly spicy food inside a Florida sunset. 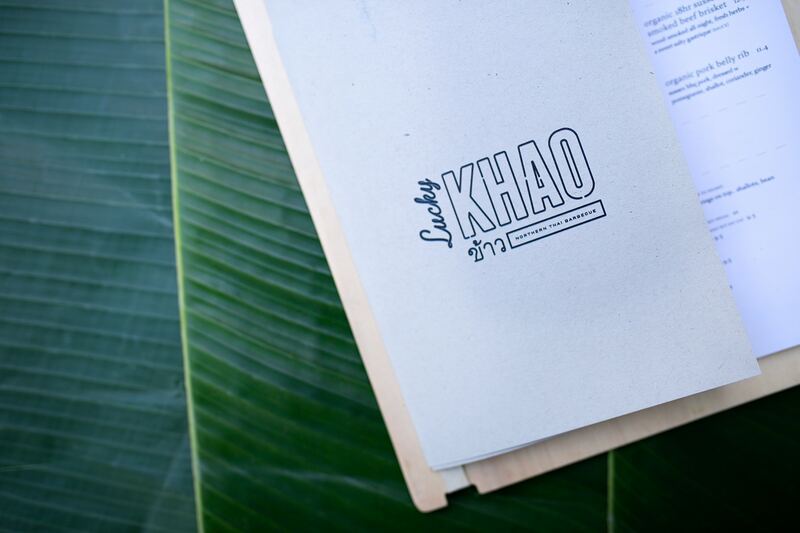 Lucky Khao’s menu is unapologetically ‘straight outta Chiang Mai.’ In that region you’ll find lesser known Northern cuisine which tends to favour sour, herby and sometimes almost pungent flavours to the sweet, coconutty and better-known curries of the South. They like them that bit spicier, too, and a bit rustic, think a Parisian’s fun Provençal uncle. Simple, quick food, often barbecued, and assembled with only the freshest herbs. Our ever-smiling waiter, Sydney-girl, Ray, starts us off with not one but two infused Lemongrass Caipirinhas, cleverly heading off a scrap between me and my partner. They are delectable, crisp and flavoursome with a Muay-Thai kick. We settle on Som Tam, fearless pestle-pounded green papaya with toasted peanuts and loads of birds-eye chilli, served vegan where preferred. It’s tangy, sour and so reminiscent of time spent in Thailand it literally brings a tear to my eye. Or is that those lethal chillies? 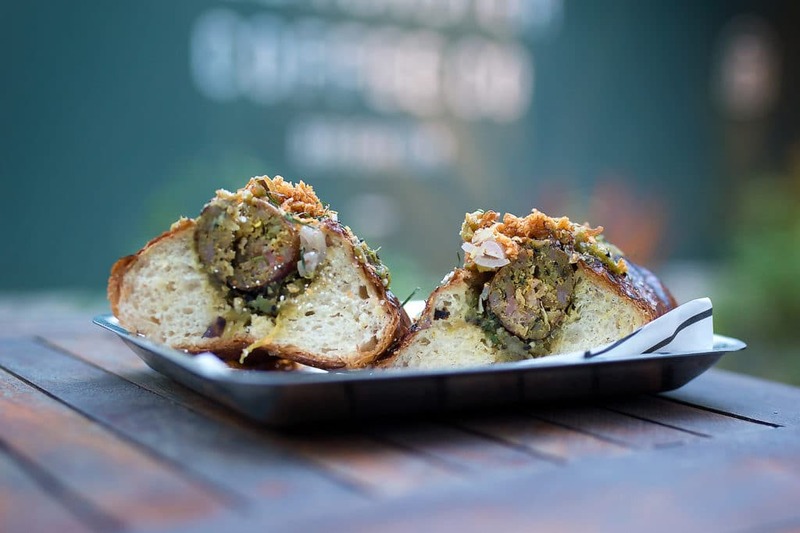 Chiang Mai style sausages, a must for those who have and haven’t sampled these infamous fermented pork rolls with lemongrass, come wrapped in a fluffy, glazed brioche – and are affectionately known as The Northerners’ Hotdog. A pleasing smorgasboard of leaves and herbs that come as a starter allow me to team experimental bundles of Butter Lettuce with Holy Basil, Vietnamese Mint and young green peppercorns with everything that comes to the table. 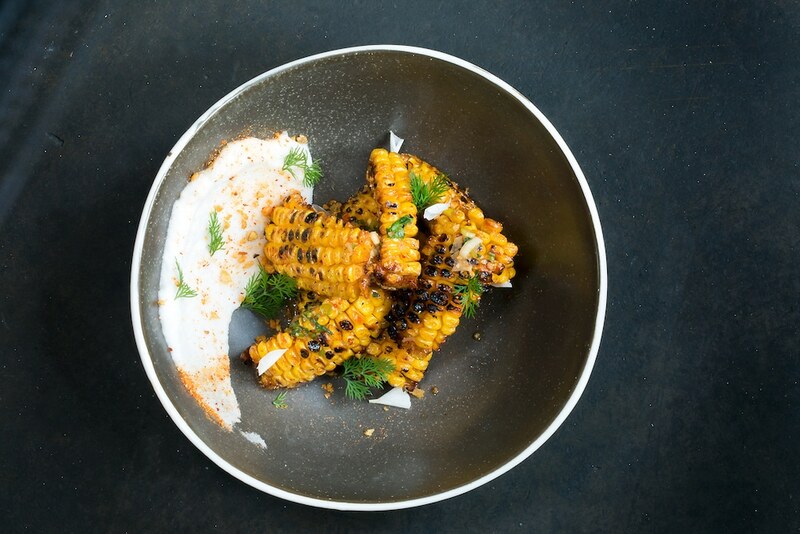 White Corn Ribs are a blessing from the King himself, marinated sweetcorn pieces roasted in Nam Jim pepper sauce, finger food divinely created to scoop up melting coconut. Giant Goat Chops arrive, absolutely regal on a plate. Piled high they are so tender they are approaching rare, paying full honour to the magnificent beast’s journey from Sussex to plate. This astonishingly generous, uncompromising dish is accompanied by a Chimichurri of coriander, fish sauce and explosive Thai flavours. Sauteed seasonal vegetables with all the Thai favourites creep in alongside our barbecued feast. 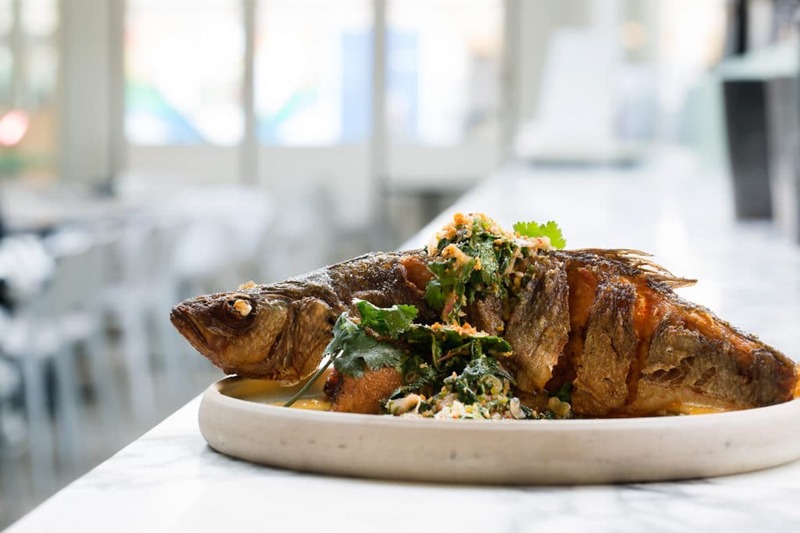 There should be no room left for our majestic wholefried Seabass atop a grand bundle of English herbs, but one handful pulled from its shallot-covered carcass could never be enough. This celestial little being is now the centrepiece of one of my favourite food memories. Finally, we’re swimming in the headiness of Khao Soi, steaming yellow coconut laksa traditionally served with fresh egg noodles and an extra handful crispy-fried. It is just as it should be, as though straight from the huge vat of a streetside diner near a Chiang Mai temple. Sealing the real deal, meltingly rich slow-cooked brisket pieces hiding within. 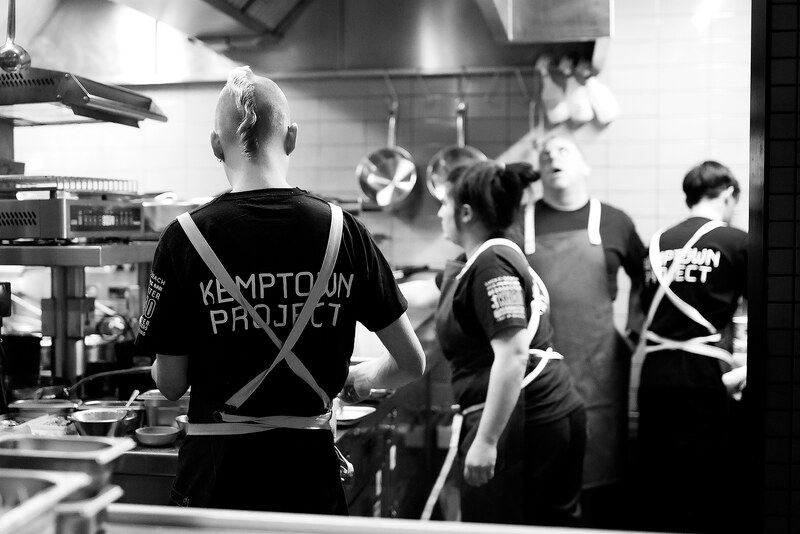 The elephant in the room is just how these young chefs from a burger joint in Brighton have delivered a menu that takes Thai cooks years to master? 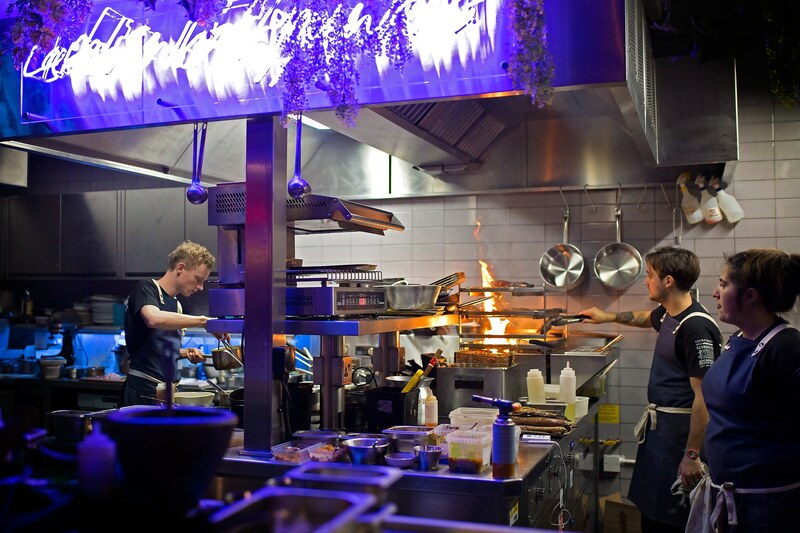 Much respect to Lucky Khao’s Executive Chef, long-time local hero of sustainable cooking, Luke Larsson. He spent two years in and out of Thailand training in some of Bangkok’s most influential modern kitchens, including Michelin-starred Bo.Lan and 100 Masaseth, famous for its nose-to-tail dining. Without exaggeration my trip to Lucky Khao was life-changing. Not only does it feel great to eat such world-class cooking in the middle of Brighton, but with all the finesse, it didn’t even cost an arm and a leg. Plus there are even more affordable options including 33% off between 4pm – 5.30pm on Fridays and Saturdays. The cooking is emotional, almost spiritual, and a bit overwhelming. Lively, unpretentious staff are full of positive Antipodean spirit and the top notch, generous and reasonably-priced food is extraordinary value. 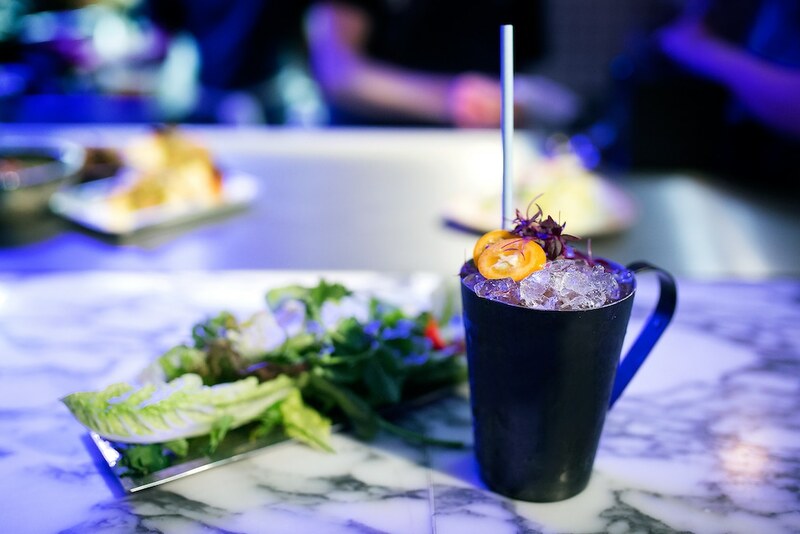 Its a slice of island-life for adults who don’t shy away from flavour. Far from being a white elephant, Lucky Khao’s bold food and admirable approach – ever more local and sustainable with every effort made to reduce waste, train and fairly pay staff – is THE template for the future. I just hope they might remember me one day when I cannot get a table.